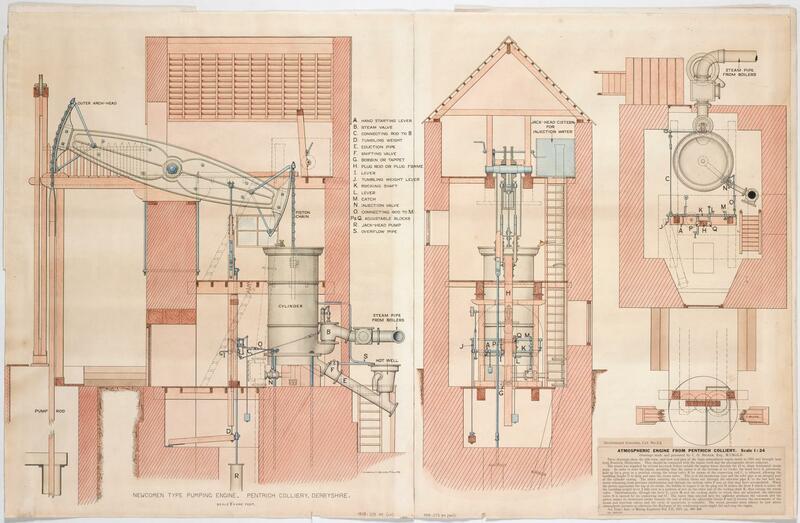 One of two drawings of the Pentrich Colliery Pumping Engine: End view and plan. Scale 1:24. Drawn by C. O. Becker. 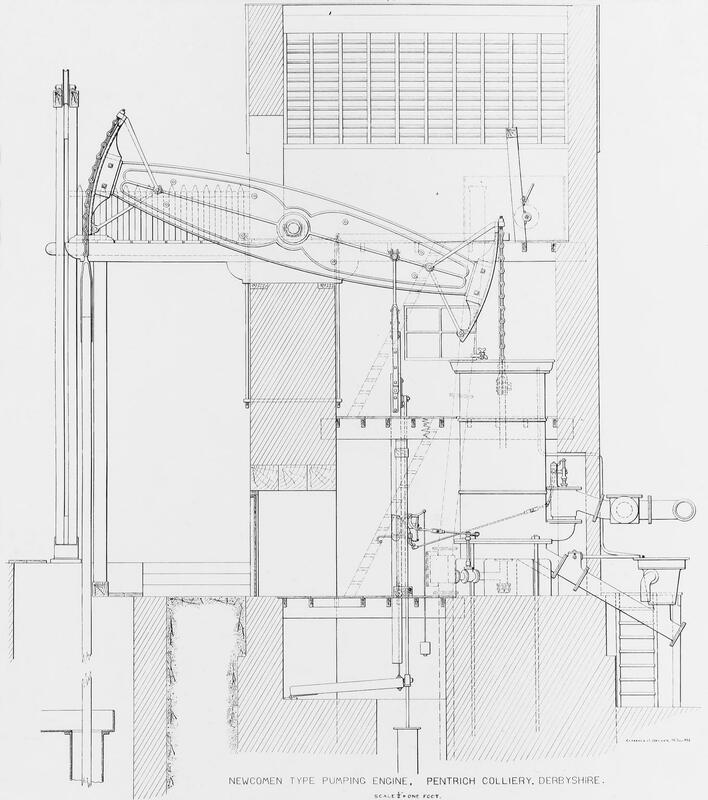 One of two drawings of the Pentrich Colliery Pumping Engine: Side view. Scale 1:24. 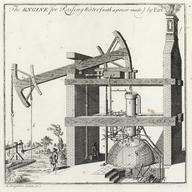 Drawn by C. O. Becker. 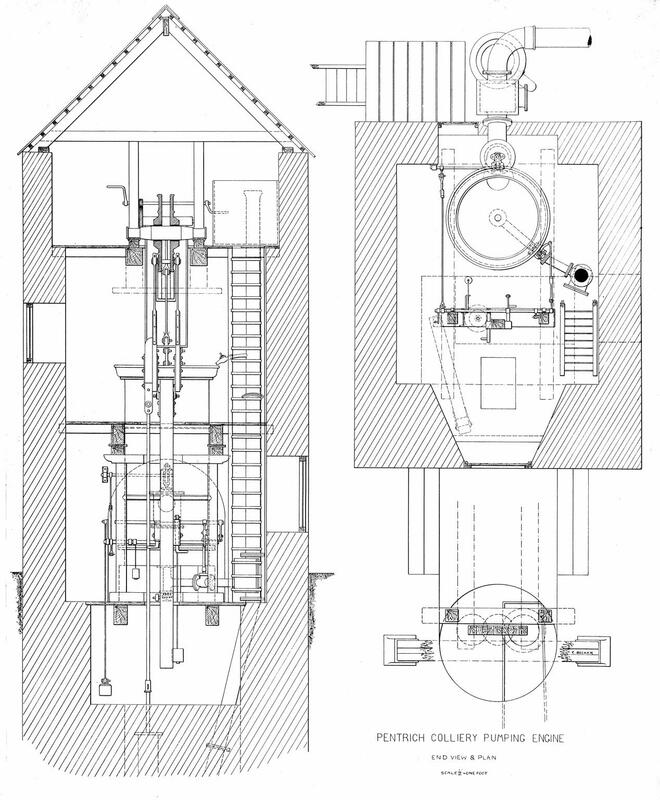 Two drawings of the Pentrich Colliery Pumping Engine (a) End view and plan; (b) Side view. 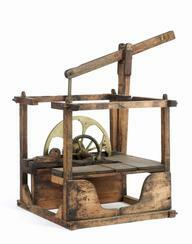 Scale 1:24. Drawn by C. O. Becker.